5 Perfect Places To Enjoy Your Valentine's Day With Your Special Someone !! Valentine's Day Is Just Around The Corner, Enjoy The Special Day With Your Loved one And Experience Some Of The Amorous Places In Dubai With Your Special Someone !! Pad Thai, or really anything in Jumeirah Al Qasr, sets a magical vibe with an abra boat ride to take you to the restaurant. 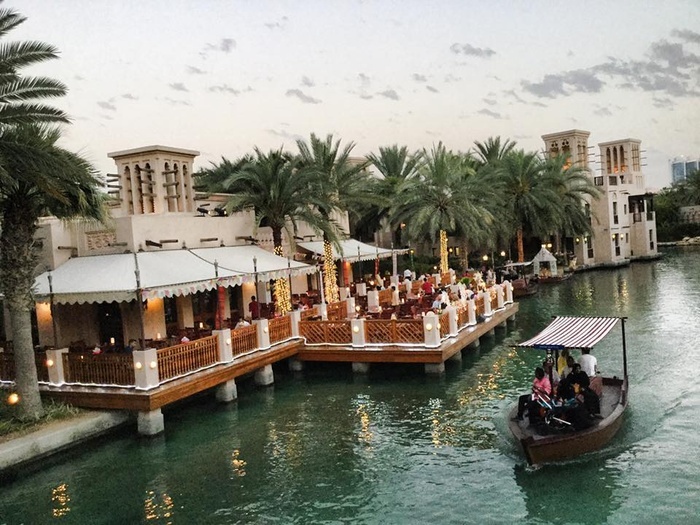 Pick outdoor seating on the terrace for tranquil views of Madinat’s waterways. Valentine’s Day 2018 Special: Four-course sharing menu and live entertainment starting at AED 1,000 per couple. 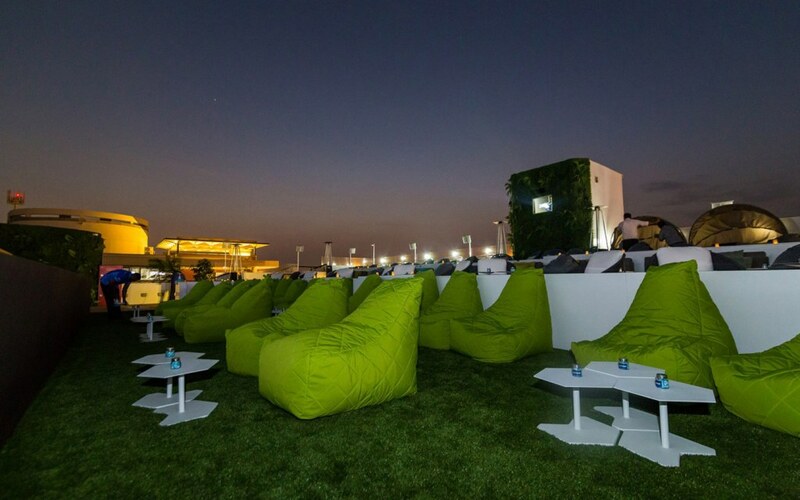 Catch a movie under the stars in VOX Cinemas rooftop cinema, Outdoor at Galleria. Comfy seating and the amazing weather makes for a relatively off-beat movie experience, perfect for Valentine’s Day. Book a VIP Couch package for two for AED 316 which includes a food and drink pack for you both to snack on. The beautiful Bab Al Shams Resort & Spa is a great way to escape the city any time of the year. On Valentine’s Day, specifically, the resort’s location tucked away in the desert makes the perfect backdrop to enjoy a private dinner under the stars. 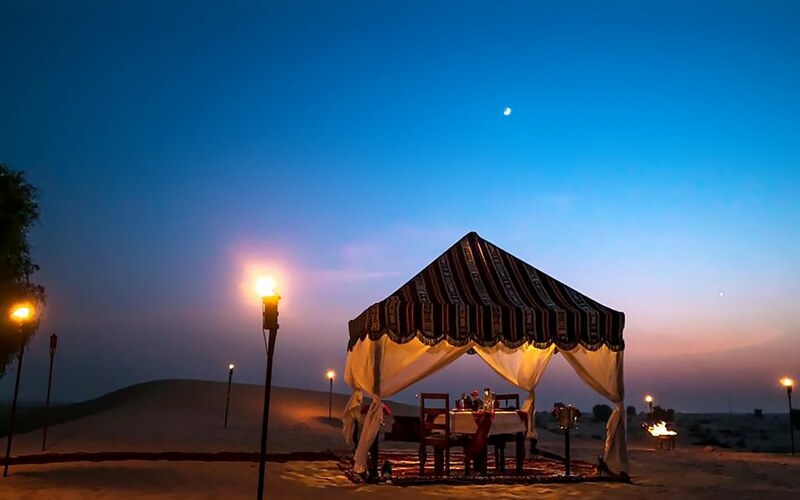 Prices for exclusive ‘Romantic Tent Dinner’ start from AED 5,250, inclusive of VAT and other service charges. A professional photographer will also be on-site to capture special moments. Timings: 7 PM to midnight on 14th February. The resort also has Valentine’s Day 2018 offers at its other restaurants, all with great views of the desert. Prices for these are relatively lower, starting from AED 580. What could be a more awesome way to spend Valentine’s Day in Dubai than soaring high above the ground, overlooking the glitzy Dubai Marina? 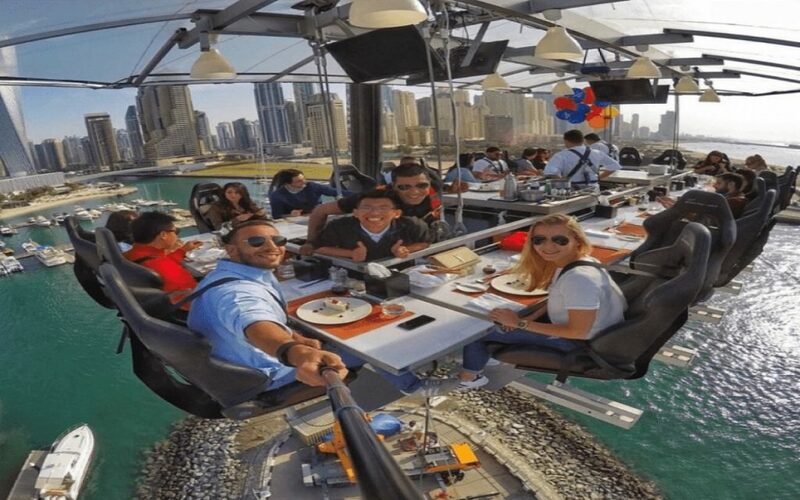 Listed by Forbes as one of the most unusual restaurants in the world, Dinner In The Sky is the quirkiest experience to try on Valentine’s Day, with your special someone by your side. Dinner sessions, of a delicious three-course meal, are priced at AED 699 on weekdays and last for 90 memorable minutes. 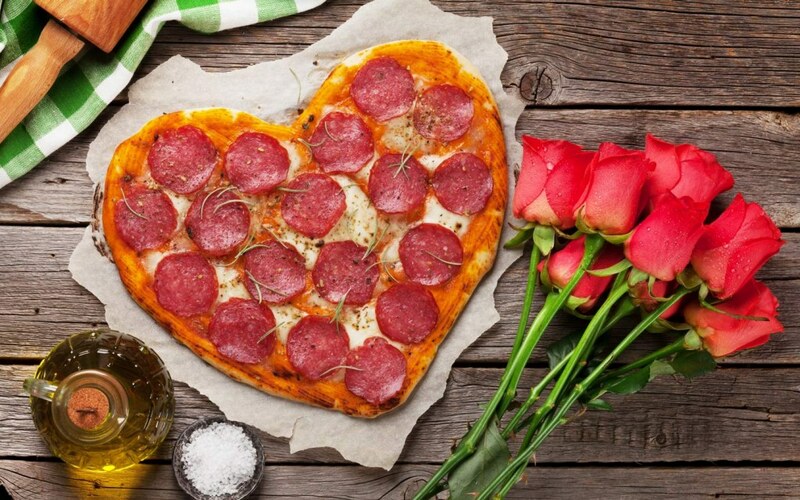 In celebration of Valentine’s Day, zpizza, located in Al Barsha and Business Bay, has launched this special edition pizza to spruce things up even if you decide to stay in. Prices vary based on the toppings you and your special someone prefer and are at the same rate as the large pizzas offered at the Californian pizzeria. Deepika Padukone 'Chaapaak' Look Leaked Online !!! Weekend Is Here ' JUST LIKE THAT' A Dubai Based Comedy Play You Cannot Miss !! Aima Baig, Uzair Jaswal & Ataullah EsaKhelvi Have Thrilled The Audience With Thier Powerful Performance In Dubai !! Bollywood Celebs Share Some Beautiful Posts On World Siblings Day ! !